State of the Apps: Pods Streamed Not Casted, Peeps Blasted, Pull My Finger's Back! Next up, Daring Fireball reports that a CoverFlow-esque contacts app was rejected by Apple for using the private CoverFlow API. The problem? According to developer Landon Fuller, they didn’t use any private APIs — they created their own Cover Flow implementation using the public APIs. Gruber rightly notes the apparent hypocrisy in Google publicly flaunting their use of private API's in the Google Mobile App, while Peeps is rejected for the mere (apparently wrongful) suspicion they're using one. 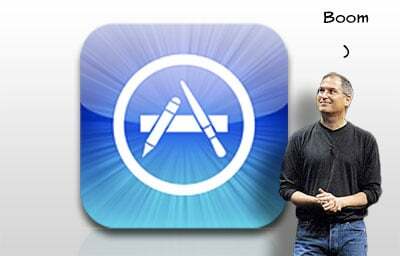 "The very kind Apple Team Member told me that they didn't want to reject it originally, but that they were sorting out how this 'genre' of apps were going to be handled," he added. "She told me they'd be lifting the restriction on them, and more apps will follow that may have been previously not allowed." What else will this new "Entertainment" category cover? What else will it allow? Your most creative guesses welcome in the comments!